Nose: Dried apricots, sandalwood and underearth i.e. mushroom. Mellow, yet harnesses power. Palate: Lengthy and satisfying. Voluptuous and full taste. Indulge in a little part of history, with a bottle dedicated to Napoleon Bonaparte’s love for Cognac. 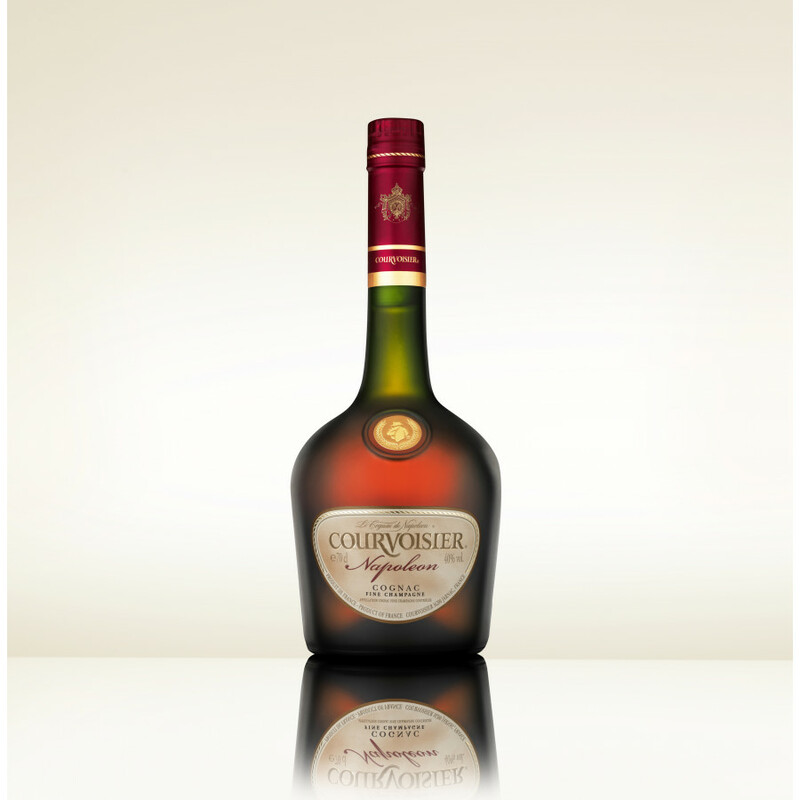 The Courvoisier Napoleon Cognac is somewhat of an icon; despite the fact that the house of Courvoisier was created 14 years after. While Napoleon himself did not get to try this luxurious spirit, its legacy is long lasting, as Napoleon III made Courvoisier their official Cognac supplier to the Imperial Court in 1869. The eaux-de-vie of this Napoleon Cognac are derived from both the Grande and Petite Champagne terroirs, and are blended together with the utmost expertise and care. This very spirit has had enough influence in the Cognac name to have an age denomination named after it. This Napoleon Cognac has been aged for up to 20 years, and its qualities from the Fine Champagne give it the lengthy finish that so many Cognac lovers desire. The chalky composition of the soil in this region is a result of millions of years of fossilization; now it is one of the most sought-after regions in Cognac, and produces high quality Cognacs such as this one. The bottle of the Courvoisier Napoleon Fine Champagne is easily recognizable among the Cognac icons. It has a short body, and a long neck, with a luxurious label. It should be enjoyed on ice, or neat. I tried this Cognac a night ago and decided to wait to write an evaluation. 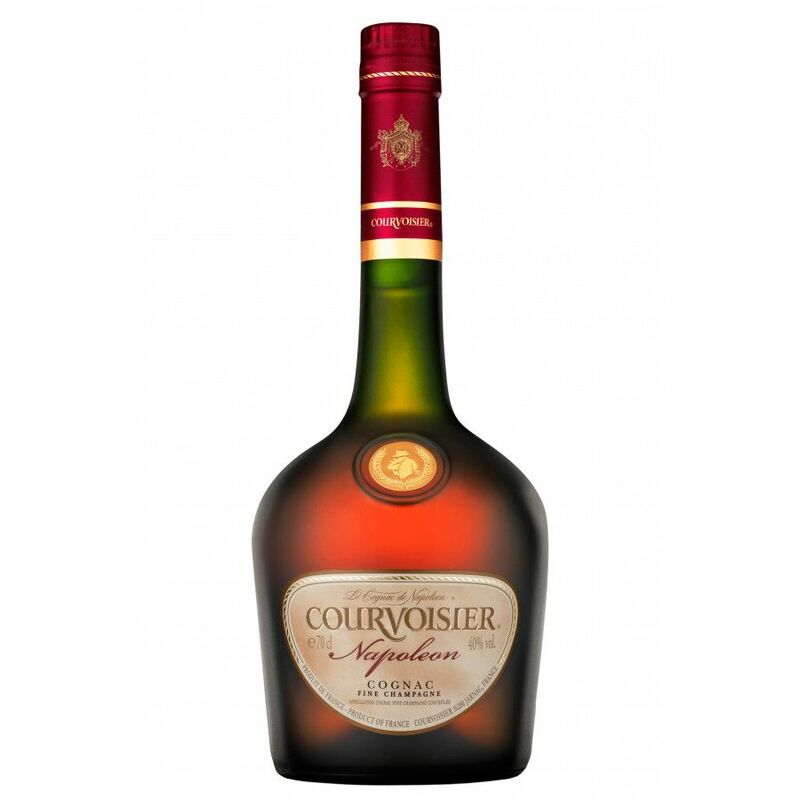 The nose I definitely the strongest suite of this offering from Courvoisier, and reminds me of a fine summer day with aromas of blossoms and to my senses, ripe dark plums. The palate was round and flavorful, but somewhat indistinct as to the flavors noted. Slightly sweet, and somewhat spicy. The finish was pleasant and not at all harsh, with the cinnamon and nutmeg coming through with a slight oaky tone. I rated it lower than usual on basis of the cost for value received. I have enjoyed both Daniel Boujou VSOP and Remy Martin XO more by way of comparison, but that's in line with my personal tastes and not a knock on this particular offering. Overall a Cognac that I would be proud to serve to a guest in my home. More a matter of personal taste at this level of Cognac. I normally have a tulip glass of Cognac in the evening after dinner, and I just examined my cabinet and collection of fine spirits. This particular Courvoisier Napoleon Fine Champagne has been one that I gravitate to when I casually select something for my evening libation. It seems to have improved in the palate and nose significantly since opening and allowed to breathe a bit. Overall, I would now rate this as one of my favorites; nicer than Daniel Boujou XO and Remy Martin 1738, by a wide margin, and roughly equal to Remy Martin XO, and at a lower cost. The initial taste on the tongue is very smooth and slightly sweet--then grows in a fruity character; not at all harsh. Upon swallowing, it goes down nicely with a satisfying finish. I have a bottle of Cournvoisier Napoleon Cogac that was purchased in 1947. I am not sure how old it was when purchased. It is at least 70 years old. The # is H01121. It is unopened. I am trying to find out what it is worth. Ideas?Thanks. i got a DV8950 in the box mint. smells old, no year visible, just a limited no. I have the same with serial # a06635 has anyone given you any feedback? We have 3 bottles of the same. Limited numer Py3877...How old are these? HiVery interesting website. 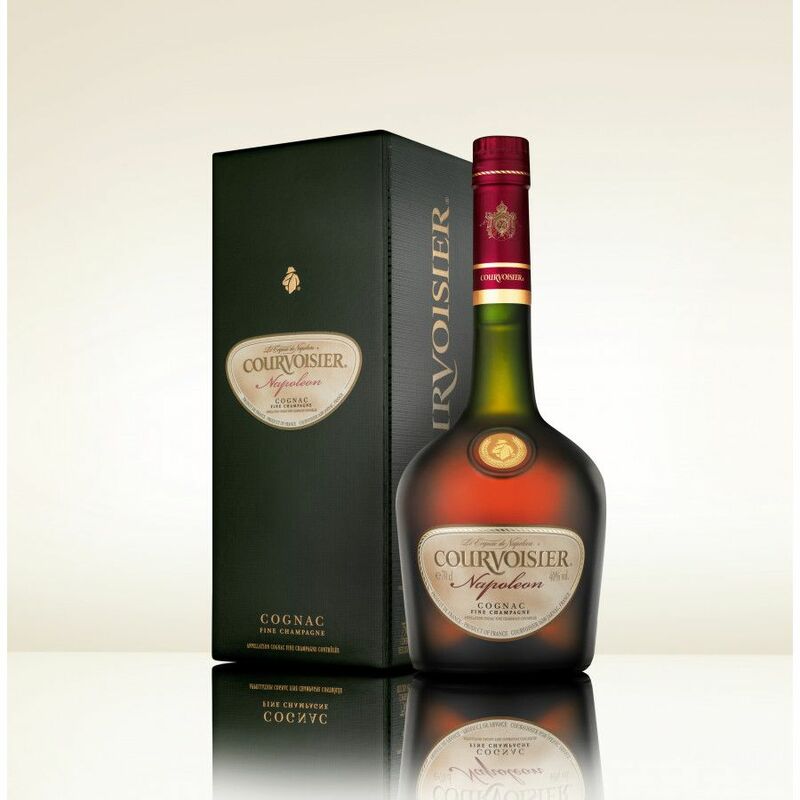 I really enjoy it.I have a bottle of Courvoisier Napoleon Cognac. It is numbered 10 3400 and is on a “wood and brass cannon”. I have had it 40 years already. Cansomeone tell me if and when it will deteriorate. Should I drink it or sell it?Thanks for any help you can provide.